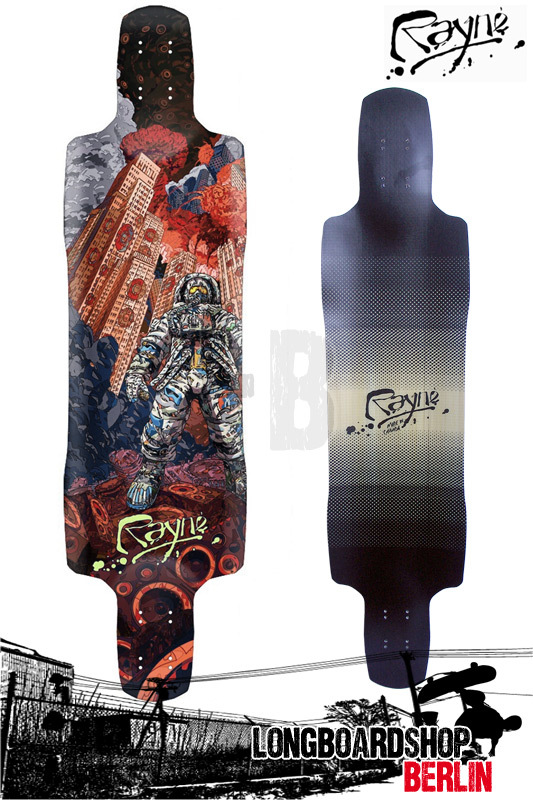 Rayne Rival Longboard Deck 102cmRayne Vendetta 40"
Vert-Lam Bamboo Core - Stronger than steel, light like a feather. Firm Flex - Drift and thrash with little effort. Twin Shape - Don’t get bounced! Stiff boards will make you stable at high speeds. 3 Stage Rocker - Pre-loads your legs for fast precise slides and easier spins.